When you mention to others that you plan to head to Kenya to run, most will think that you have a strong passion for running. The resurgence of distance running and health awareness in our culture has paved a growing trend in sports tourism. 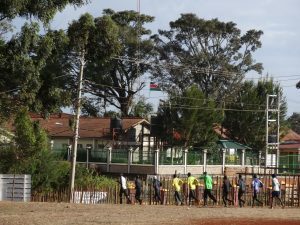 While vacation seekers might not look at Eldoret or Iten as a tourist destination, these towns provide enthusiasts and serious athletes insight to the phenomenon of Kenyan running dominance. My story with running began as an outlet outside my career in music. Once I found I had untapped talent, I naturally followed Kenyan and Ethiopian runners for advice and inspiration. 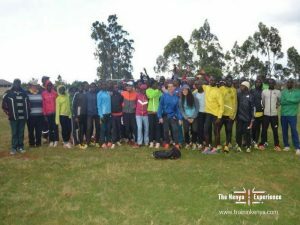 During my two week stay in Iten, I learned much about the Kenyan way of running and how it relates to their culture. Kenya has many distinct tribes with different languages and cultures. In the Rift Valley, the majority of athletes that dominate long distance running come from the kalenjin tribe. Usually people talk about upbringing to explain why Kenyan runners dominate the marathon distance. Most will say Kenyan runners dominate because of the environment they grew up in; they were born at altitude and live a very active life. Also, people will reference that many Kenyans have long, skinny legs with a long Achilles tendon. For marathoning, conserving energy becomes the focal point to mastering the distance. Although some of these characteristics would help explain why Kenyans excel at the marathon distance, there is so much more at play. From what I observed, Kenyans excel at distance running because they have the passion and the will to do it. They also have a tradition of excellence and a high standard to match. The competition is not only stiff, but it is at the center. Running fuels the economy in this part of Kenya. With talent in high numbers, humbleness is a key element in the runner’s mindset. Most Kenyans will focus on running their own race and not worry about any of the other strong competitors. 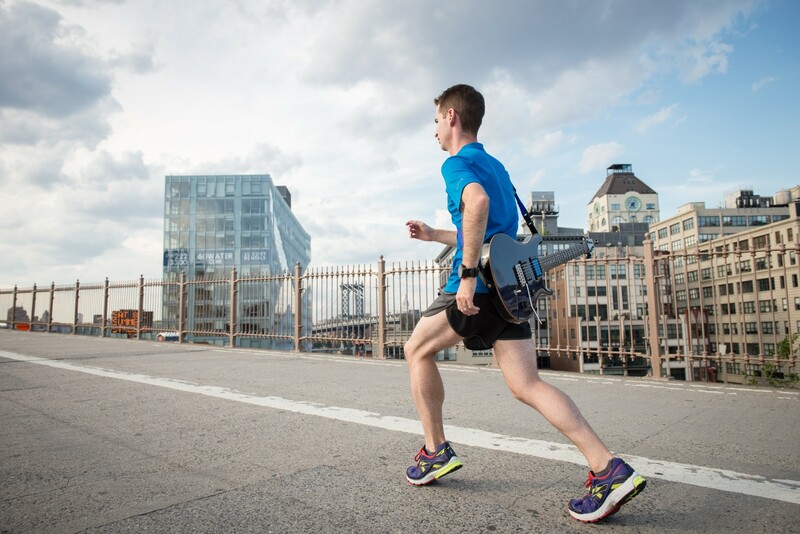 Running is a profession for most, but improving yourself becomes one of the most important aspects of training. After all, there really isn’t a need to boast about a 2:10 or 2:08 marathon finish when other male runners can run 2:03 and 2:04. Monday: Progression run hard effort, one hour fast. Tuesday: Track day (up to 10 kilometers for long distance specialists). Most Kenyan runners run 400 meters to 1,000 meters for repetitions. Wednesday: Easy running that usually ends faster than when starting. Thursday: Fartlek day for 1 hour. Usually this is at 5,000 to 10,000 meter pace. Variations include 1:00×1:00 jog, 2:00×1:00 jog, 3:00×1:00 jog. Saturday: Long running between 25-40 kilometers (16 to 24 miles). This is progressive in nature and often ends up faster towards the end of the run. These high quality workouts help keep runners in top form. Additionally, many will add core stability as well as gym sessions to their training regimen. Most Kenyans excel at this schedule because their way of life provides more recovery time between their workouts than our schedules here in the Western part of the world provide. 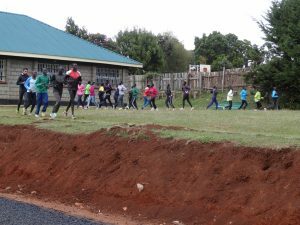 Moreover, many top Kenyan runners know how approach these workouts with the proper amount of effort. 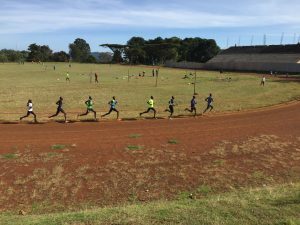 Many Kenyan runners will pace these workouts around 80-90% of their maximum efforts to avoid burnout and injury. 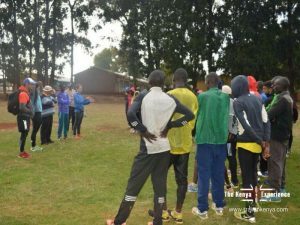 During my visit in Iten, our group scheduled a core stability session with Ian Kiprono. Ian is the assistant coach to Brother Colm O’Connell at the famous St. Patrick’s High School. He works with the junior athletes on form drills and core stability exercises. He introduced these exercises to us in this session. I also had the fortune to visit St. Patricks a week later to watch him conduct form drills with the student athletes. 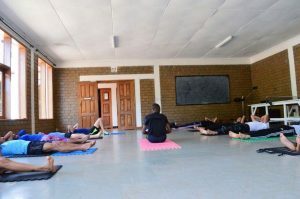 The core exercises combined yoga with pilates with a Kenyan twist. The form drills allowed us to focus on a specific detail in our running forms. These drills allow a runner to train the body to run correctly. I remember when I first worked on drills in 2015. They made all the difference in me finally running in the 5:00 per mile range. Besides drills, every runner should spend time strengthening the stomach and back muscles. It makes all the difference between easily holding a pace and struggling to keep up. One reason Kenyan runners glide along easily in races is because of core strengthening. If your core is strong, you will have the strength needed to hold a pace, even at 4:40 per mile. Most Kenyan runners will say, “You can’t do a long run without ugali.” Ugali is the staple starch most Kenyan runners will eat to fuel their running. Most of the population in Kenya will eat ugali for breakfast, lunch and dinner. Many long distances runners will also eat chapati (a type of flatbread) right before a long run. So as you might of guessed, carbohydrates make up most of the nutritional pie chart in a Kenyan runner’s diet. Besides carbohydrates, runners often take in a moderate amount of protein. At our camp we would eat protein in the form of chicken, lamb or beans. Beef might have been served once a week (more because it’s a rarity rather than a health choice). Kenyans eat non-processed foods that have low to no fat. Fruits often take the place of chocolate or ice cream that many people usually consume for dessert. I appreciated the freshness of each food the most during my stay. Although everyone ate a lot, many guests also lost weight. In the USA it seems that everyone is more concerned with a number on the scale and constantly attacking every diet. Runners also seem obsessed with trimming down so much to a point where they tend to lose muscle mass. 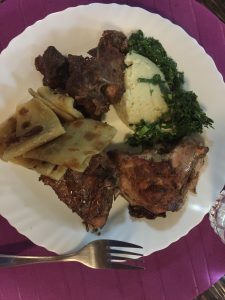 Albeit beyond the scope of this post, I will say the way the food helped fuel me not only through my workouts, but through my exploration of Kenya. When I talked to Kenyan runners about nutrition, none were concerned with weight. All were concerned with having the fuel to run fast and long.